Wow! I haven't updated this thing in forever! Here comes a flood of paintings! 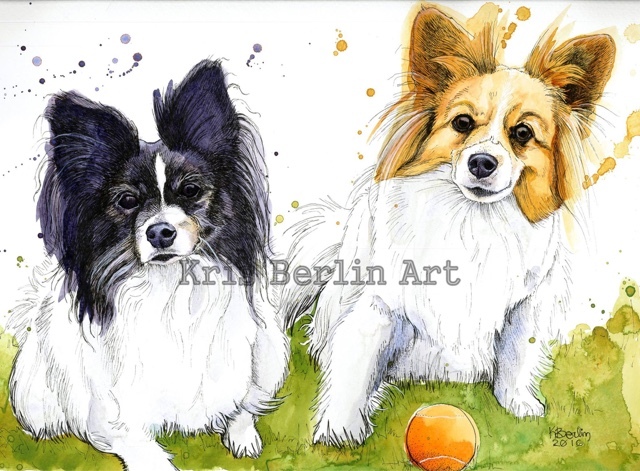 This is a big painting of Papillons! My first commission from somebody I didn't know directly.